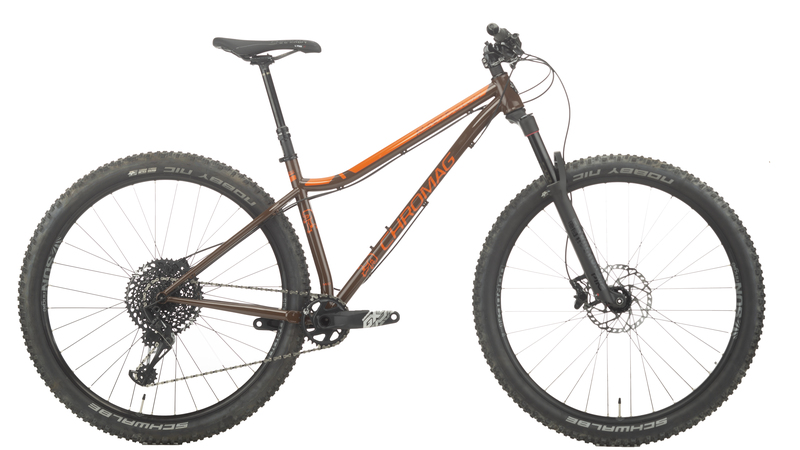 All-mountain mountain biking used to be just reserved for full suspension bikes, but now you can get the all-mountain fun from a steel hardtail. 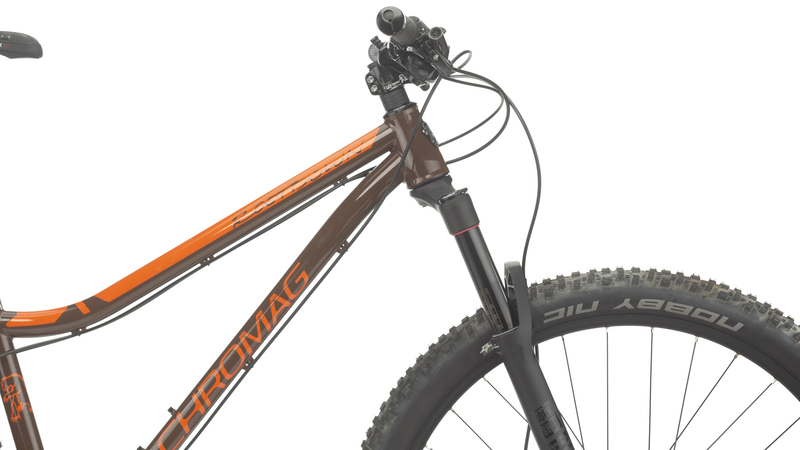 The Chromag Rootdown is a steel framed hardtail that is built for aggressive riding and is all about big wheels. The frame features a longer top tube, shorter chain stays, slacker head angle, steeper seat tube and a lower bottom bracket. The frame is both 29" and 27.5+ compatible so you can get the ultimate traction whenever you need it. 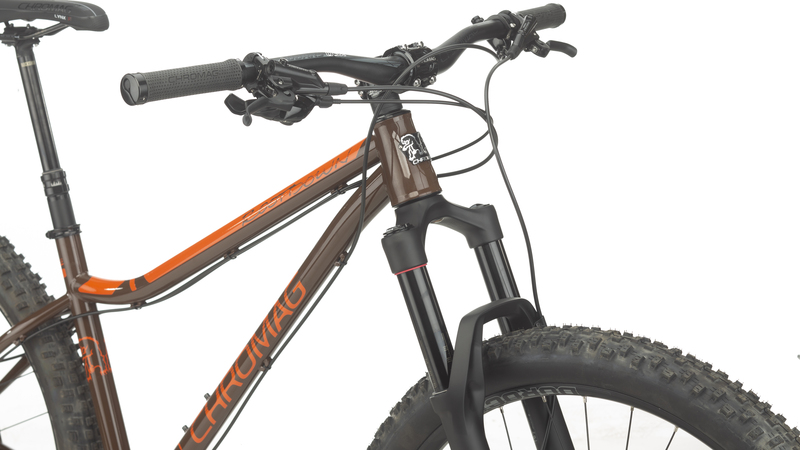 It features Chromag's Yokel design that helps the frame accommodate larger tires and chainrings. This bike descends incredibly well and is always ready to climb back to the top. The Jenson USA exclusive build comes with a SRAM GX Eagle drivetrain that provides a wide range of gears so you can climb up just about any hill without sacrificing top end speed. 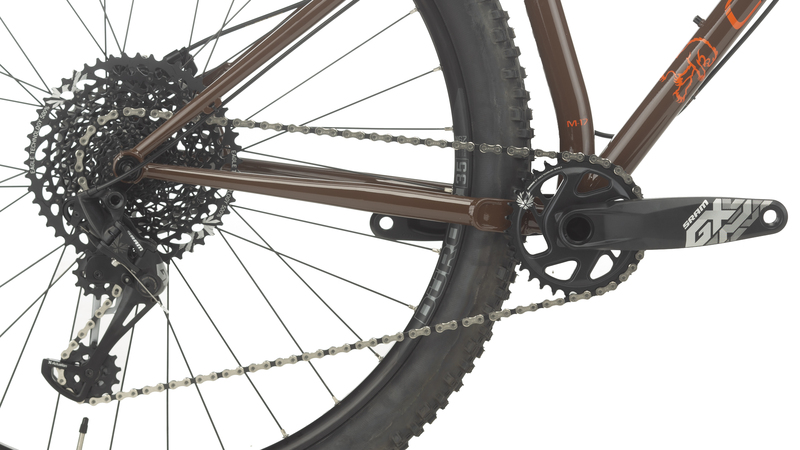 It comes with a SRAM GX Eagle 12-speed rear derailleur and GX Eagle shifter. The SRAM XG-1275 cassette provides a 10-50 tooth gear range so you can ride in almost every terrain efficiently. When you do make it to the top of the hill, the Shimano M6000 hydraulic disc brakes will provide ample stopping power for the trip down. It features a RockShox Pike RC Boost 29" fork with 140mm of travel, and with the Sun Ringle Duroc 35 wheels and the Schwalbe Nobby Nic 2.6" wide tires, you'll be cruising along with a smooth ride. If you're looking for all-mountain performance from a hardtail, then you'll love the Jenson USA exclusive Chromag Rootdown GX Eagle Spec-A Bike. 5'2" - 5'7" 5'5" - 5'10" 5'8" - 6'2" 6'0" - 6'4" 6'3" - 6'7"
Great bike!! My second bike from Jenson. Impressive bike assembly!! Everything was dialed right out of the box. Slapped on the pedals and away I go. The experience with this company was amazing. After days of research, this build gives you the best quality components for the least amount of money at the price point I was able to afford. This is the highest quality steel frame I have ever seen and it being a hardtail allows for an awesome front fork. It was such a pleasure to unbox when it arrived, I could feel the pride Jenson USA bleeds into their builds, it actually felt like it was made uniquely for me. The employees are doing something they truly love!!! So sick!!! Slap the front tire and pedals on, ready to shred nature!!! After extensive deliberation, I settled on the Rootdown for its geo, 29 wheels, and steel frame. I'm ecstatic with its ride quality, aggressive demeanor, and the jenson special build kit. I have had aluminum and carbon hardtails in the past, and the steel Rootdown has the best ride out of them all. I know it's cliche, but the frame is stiff yet compliant. I highly recommend it. 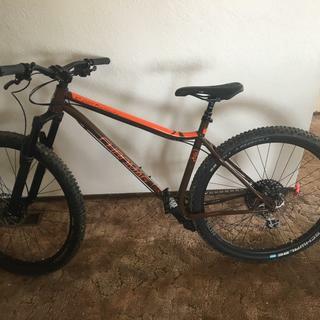 What is the bike's (complete build as advertised/pictured) weight? Is the dropper internally routed ??? BEST ANSWER: It's a Reverb Stealth, so yeah. So's the post on mine. Is it possible to get an XT 1x11 group instead? BEST ANSWER: I’d be shocked if this company didn’t work with you to get exactly what you wanted. Having said that these builds are extremely well thought out!!! What's the rear axle, boost 148 or 142?